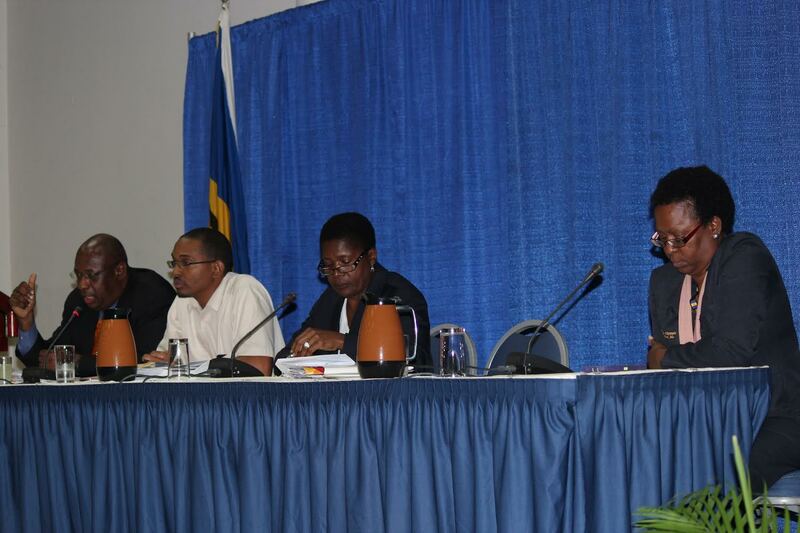 Barbados’ 2015 Central America and Caribbean (CAC) Games Contingent – Barbados Olympic Association Inc.
From Left: Erskine Simmons General Secretary BOA, Dr. Rene Best Medical Director, Mona Alleyne Chef de Mission and Gail Craig Archer of BOA. Bridgetown – The Barbados Olympic Association Inc. (BOA) met with the 2014 Central America and Caribbean (CAC )contingent on Thursday at the Loyld Erskine Sandiford Centre with to discuss the final arrangements for the team’s travel on Monday, November 3 to Mexico. The Games take place from November 14-30. 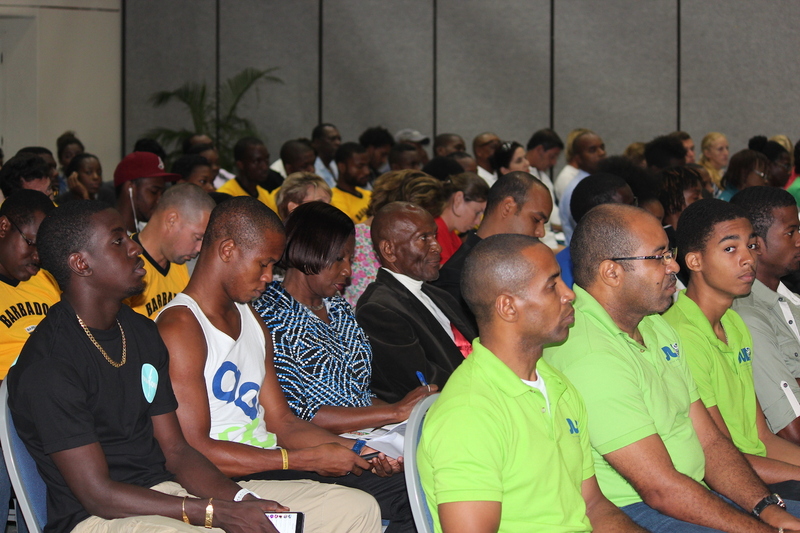 There are 95 athletes and 27 team officials representing the island from 19 sporting disciplines. The Chef de Mission is Mona Alleyne, and her team of three includes Assistant Chef de Mission, Paula Jarvis who will join her in Vera Cruz. Assistant Chef de Mission, Dave Farmer will be supported by Charles Beckles in Xalapa. In addition, there is a seven-man medical team led by Dr. Rene Best who is based in Vera Cruz while Dr. Carl Ward is based in Xalapa. The other members of the medical team are Dr. Julian Samuel, Gail Weekes, Sharon Coppin, Marita Marshall and Phyllis Burnett. Secretary General of the BOA Erskine Simmons said that this year has been a very hectic one for the association with Commonwealth Games, Youth Olympic Games and the CAC Games falling in the same year, along with the BOA’s hosting of two major meetings in the Caribbean Association of National Olympic Committees General Assembly and the Olympic Solidarity Forum. “We are very pleased with what we have accomplished so far this year. We know that there is a lot of work still to do and that persons will judge us based on the performances of the athletes, but this we have no control of but the factors that we can control, building a strong framework for athletic involvement and training and development of coaches and officials we are getting right. Going forward we plan to change our relationship with athletes and federations a bit to build a model to facilitate our athletes at the professional level. We are satisfied that with the support of the federations Barbados can be even more competitive at the highest level. The CAC Games are usually good games for us, and I expect that we will do well in Mexico, said Simmons. The teams will be based in two separate villages located in Xalapa and Vera Cruz. Click here to see the full list of the CAC Games contingent, team officials are highlighted in yellow.